Ok, can anyone explain this photo to me? 'shopped? From last week? Old? 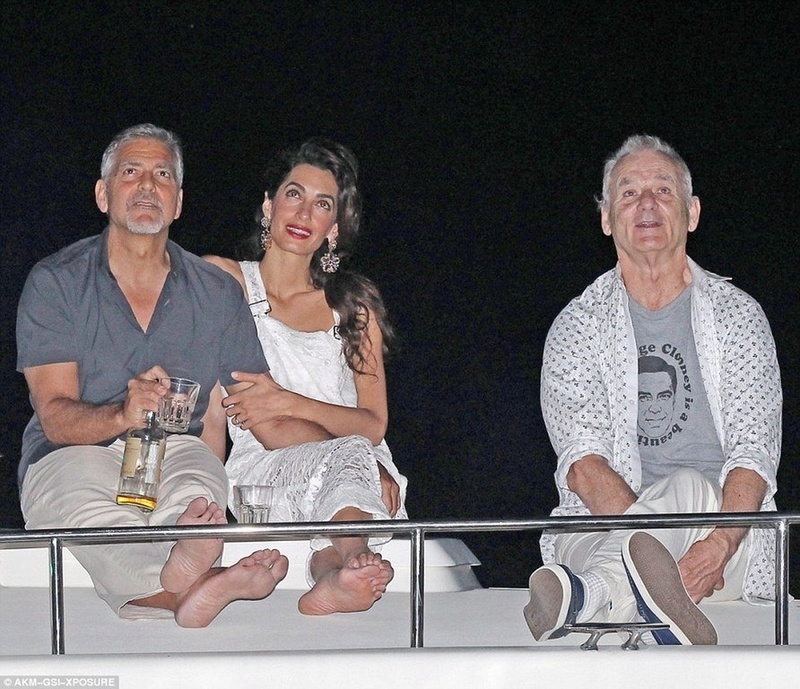 Re: Bill Murray wearing a 'George Clooney Is A Beautiful Man' shirt while watching fireworks with George Clooney. It's from last year, it was the Indipendence Day.